Studies showing lackluster rates of advance care planning are nothing new. But this new study in the Canadian Medical Association Journal is particularly disturbing. 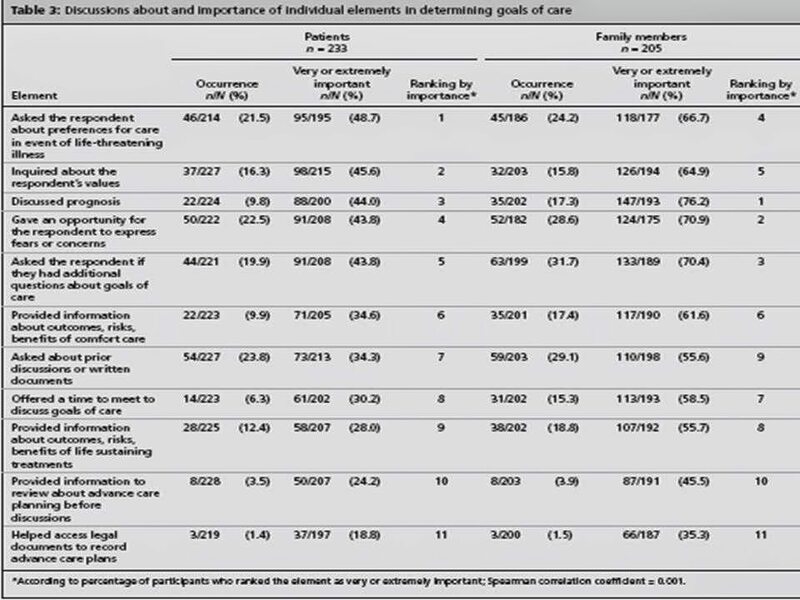 The authors identified 11 recommended elements of goals-of-care discussions that are the most important to older adults patients in hospital with serious illness and their family members. They found that these elements are VERY infrequently addressed by health care providers in hospital.